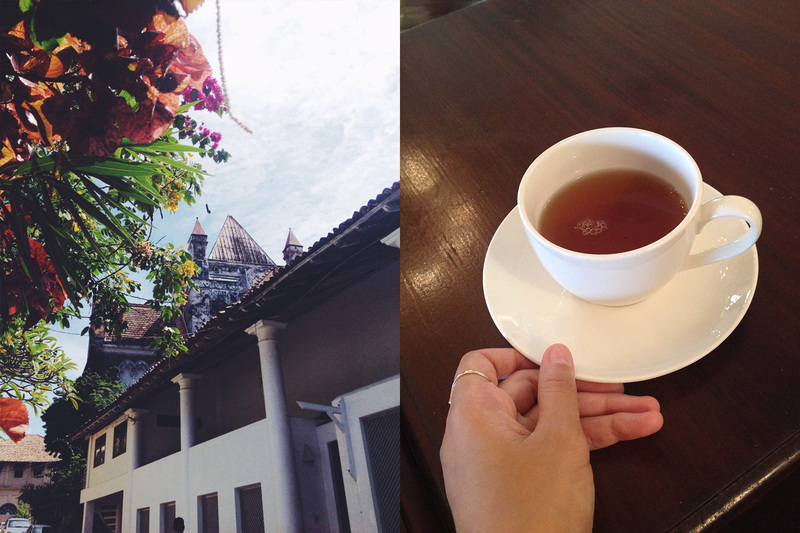 It’s hard not to romanticise a trip to Galle Fort; with its mix of cobblestone streets and old colonial architecture, it’s the type of place your subconscious lets out a calm sigh. The Fort subtly – not aggressively – demands you let yourself switch into a slower pace simply so you can take everything in. Which is exactly what we did. 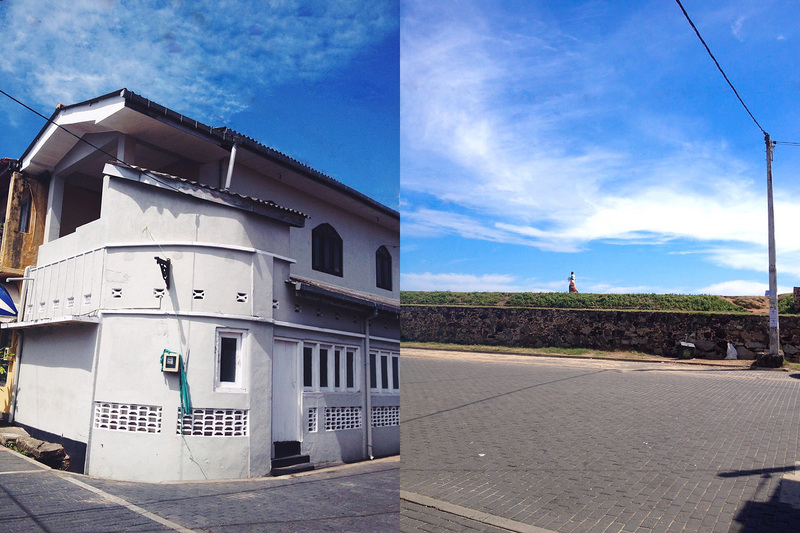 Located in the city of Galle in southern Sri Lanka, Galle Fort is the place to get lost. The Fort’s walls were built by the Dutch around 1663 from a mix of granite and coral and is a UNESCO World Heritage Protected Site. Today the Fort is home to a diverse and eclectic group of cultures, stores and small businesses. Days in the Fort are best spent loosely planned. Wake early for breakfast followed by a lazy walk before the heat kicks in, letting your senses plot your route. And allow time to stop and snap plenty of photos. When the sun heats up, treat yourself to a spa treatment, squeeze in some relaxed souvenir shopping (with our Ultimate Tote) or head to the Amangalla Hotel for high tea. The Amangalla radiates understated elegance with its mix of traditional Sri Lankan teak furniture, fresh flower arrangements and coconuts used as decorative ornaments. The service is warm, the smiles are big and there’s a relaxed, attentive easiness to things. Take your pick of tea, bite into a warm scone and let your imagination transport you. Interesting fact: The Amangalla has no signage or branding. Curious, we asked a waiter who explained quite proudly that it was management’s decision as they wanted people to come about the hotel based on word of mouth, that way, they had to maintain a good reputation. It’s a place with a story and soul. To cap off your day, head to Rampart Street to watch the sunset before sitting down for dinner at one of the many great restaurants. “It is a place where you discover that time does come to a standstill and no amount of technology and progress can curtail the love of the ancient” – Juliet Coombe in her book ‘Drawn to Galle Fort. Stay: The Fort is easy enough to navigate by foot. For those looking for a centrally based option, we recommend the Pedlar62 guesthouse run by Ravi. The rooms are spacious, fresh and Ravi and his parents are lovely hosts. 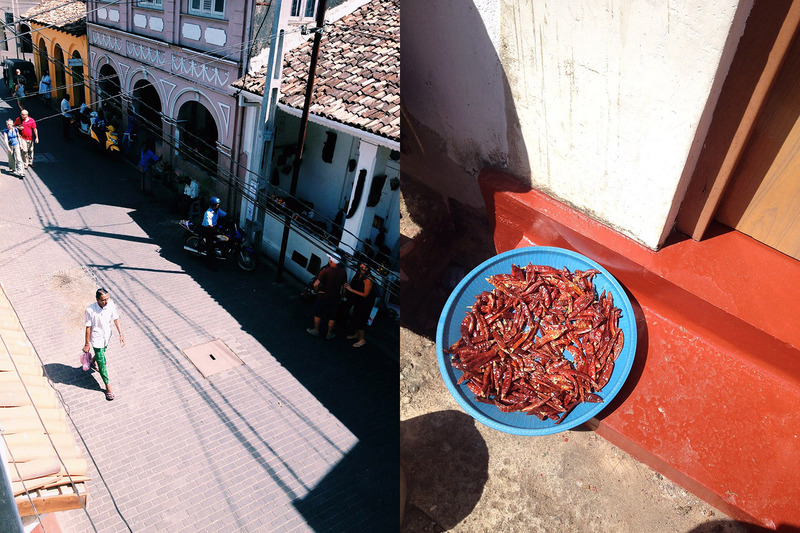 Tip: Ask for the Sri Lankan breakfast – we guarantee you it’ll be a foodie highlight of your trip. Shop: If you’re looking for special keep-sakes to take home for yourself or your loved ones, you can’t go past Barefoot for their handcrafted and locally made goods. If quirky art is more your style, we recommend Stick No Bill Posters. Eat: The Fort is home to a mix of local and international cafes, restaurants and kades (little local shops), so you’ll be spoilt for choice. If you have a sweet tooth, we recommend the brownie (with ice-cream, of course) from the Pedlar’s Inn Cafe. Sarah is a world-travelling yogi who loves finding inside secrets to exotic locations. She can hold a break dancing freeze and is a self confessed foodie.